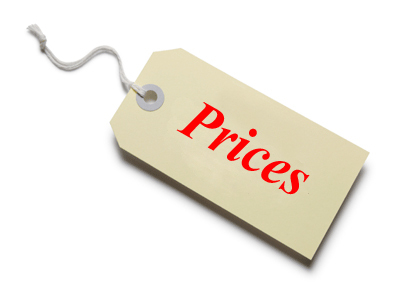 Check out our SEO service pricing page to get an idea of what our services cost. If you have been shopping for an SEO firm you soon discover that prices range from “Free,” to ridiculous, sky-high fees. Then of course, there is every price in between. So how do you determine how much SEO services cost, and if you will be getting the value that you are paying for? This article will help you to choose an SEO service that meets your website’s needs and budget, and to avoid costly mistakes that can slow down, or completely derail your SEO marketing campaign. Why do SEO Companies Not List Their Prices? The majority of SEO firms do not list their prices. The reason for this is because every website is unique. There are no two businesses that will require the exact same services, and it is difficult to determine an approximate price range for every business, all at once. The problem with this approach is that until you contact an SEO firm for a quote or consultation you don’t know if you are looking at $500 or $5000 to get started. The last thing most people want is to be contacted by a service that they simply cannot afford. Pay for Performance is the most popular “free” seo service. This payment scheme means that you do not pay until your website ranks for the keywords that have been agreed upon. An SEO service could potentially resort to unethical methods to make sure that your site ranks. Or they could be a very talented seo service with an extremely high fee. It would be wise to be wary of services that will target keywords that will do well in search engines, but may not attract quality traffic, that leads to sales and signups. Once these goals have been reached, the seo service may not be incentivized to continue improving upon all other aspects of a client’s website outside of their agreed rankings. Any pay for performance scheme will definitely require a contract and if the service fails to deliver, and the money is not refunded, you could be looking at legal action. Pay for performance may be offered by new seo firms that do not have an established or satisfied base of clients. So What is the Standard Price for SEO? When SEO is done thoroughly and correctly, it involves a lot of work, which is handled by more than one specialist. Although anyone can learn about SEO, implementing these techniques is extremely time consuming and involves a great deal of trial and error. It’s safe to say that most people do not want to experiment on their business’s website. When a business owner does not have the time, patience or know-how, then an SEO firm is the right choice for promoting a website. When SEO is priced really low, there is definitely cause for concern. There are no quick-fixes or magic wands that will increase quality traffic instantaneously. On the other end of the spectrum some companies charge thousands of dollars per month. For this fee, anyone should not just expect, but demand the whole enchilada of services and very clear, frequent reports to ensure that they are getting exactly what they are paying for; and more! Expect to pay a minimum of $500-$2000 for a fully comprehensive SEO service. At Direct Hits Web Marketing we offer a range of affordable packages and customization to make the most of every one of our client’s advertising dollars. In any scenario, make sure that the price seems realistic, reasonable and that the SEO company has provided you with the information that you need to trust your internet marketing campaign to their team. Check out our SEO service details and prices or contact us for a custom quote. SEO Pricing – How Much Should I Pay for SEO Services? How Do I Get My Website Noticed? How Does Google Determine How Old A Website Is? ...DIRECT HITS was able to work with me to improve my website's search engine rankings and we have seen huge gains in our visitor traffic and online enrollment as a result. As a web developer myself, I can tell you that they really know what they're doing..."